I’m the opposite of an oracle, akin to Theresa Caputo, the Long Island medium. This show was renewed by The Learning Channel, which makes me think they should rethink their brand. George Orwell said, “If you want a vision of the future, imagine a boot stamping on a human face – forever.” I’m afraid it’s worse – reality television. I had thought that the walk-off win against the White Sox was a harbinger of a bright future. 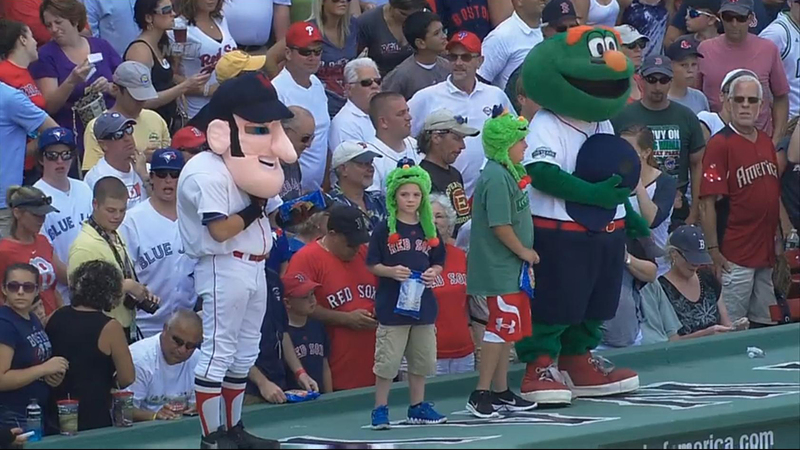 Instead the Red Sox were swept by their divisional rival to the north. So here are distracting pictures from events ancillary to the game that you will enjoy more than any description of the actual events, except for the home runs by Adrian Gonzalez and Jacoby Ellsbury. 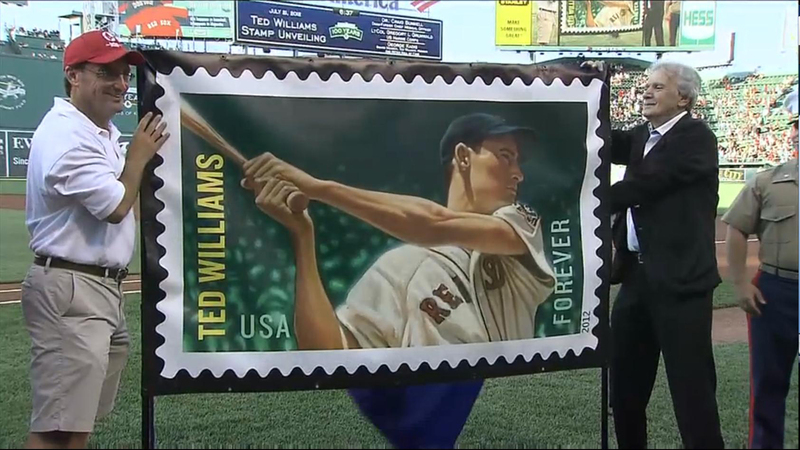 Gonzalez’s idol Ted Williams was commemorated in a stamp that was released to coincide with Induction Weekend at Cooperstown.